Announcement 1/11/2016: It is with great sadness that we announce the passing of our colleague and friend, Distinguished Professor Peter Gavin Hall, who has died in hospital in Melbourne following a series of illnesses. He was 64 years old, and held a joint appointment with UC Davis and the University of Melbourne, Australia. Peter was one of the foremost and prolific researchers in the field of Statistics. 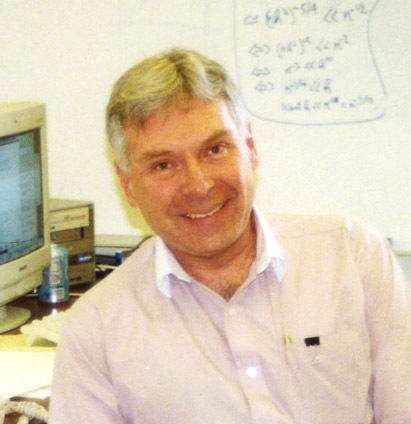 Among his many honors, he was named in 2013 as an officer of the Order of Australia, the highest honor of that country, for his distinguished contributions to the field of statistics worldwide. In the same year he was also elected as a Foreign Associate of the National Academy of Sciences in the U.S.
Peter's funeral will be held on Thursday January 28th at 10:30am in the Chapel of Reflection, Springvale Botanical Cemetery, 600 Princes Highway, Springvale, Victoria, Australia. An additional memorial will be held at the University of Melbourne at 10.30am on Wednesday, February 17th. More details will be available in due course here: http://acems.org.au/peter-hall-funeral-and-memorial-details/. Please check back for further details of upcoming memorial services, to be announced soon. Our sincerest sympathies are with Peter's wife, Jeannie, and his family, friends and colleagues at this time.